The national education spokesperson for the Green Party claims “local and national politicians who make speeches about social mobility, improving standards and increasing opportunities for young people outside of the classroom, really must step forward with urgency, put these words into action” and fight to save the Isle of Wight Studio School. Parents across the Isle of Wight are reeling a week after the announcement that the Island’s Studio School is threatened by closure in 2019. On an Island which remains significantly below average nationally in terms of GCSE results, social mobility and wages – it is scandalous that the Department for Education are considering closing the door on a centre of excellence for skills building and employment opportunities in a deprived coastal community. The Isle of Wight keeps hitting national headlines when it comes to its schools. The last decade has seen major reorganisation of education on the Island, as local and national government press on with initiatives to overturn years of poor attainment. This has involved the closure of all its middle schools, a new Church secondary school, a new Free School, and the threatened closure of two high schools – including academy trust AET dropping its sponsorship of Sandown Bay Academy (now taken into Local Authority control by extending a nearby primary to being an all-through school). Ex- OFSTED chair David Hoare described it as a ‘ghetto island’ in 2016 on which poor educational standards were damaging the prospects of the young people – and he was forced to resign. Schools on the Island are facing a massive £3.9 million of government cuts by 2020, and are the third worst local authority in the country for staff cuts – losing an average of 16.6 teachers per secondary school. It is no coincidence that the Isle of Wight also has the highest proportion of home-educated pupils in England and Wales (almost one in 50). Parents have reported struggling to find suitable education for their children who they feel are being ‘lost’ in a system which focuses heavily on results and less on skills setting them up for life in employment. The establishment of the Studio School in East Cowes in 2014 offered a fresh approach to a school system with an innovative vocational and academic curriculum, dedicated to addressing the gap between schools and employment, with weekly opportunities to get into the world of work. 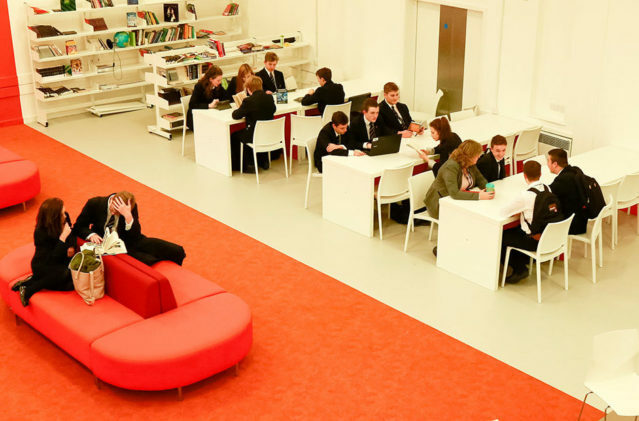 Originally a 14-19 school, it has been operating successfully for 14-16 year olds, before many of them choose to extend their studies at a larger sixth form or gain an apprenticeships in local businesses. Parents are clear that the school should not close. However, the Inspire Academy Trust, based in Southampton who sponsor the school, state that the smaller school numbers make it financial unviable in the longer term – a claim that parents dispute. It’s been suggested the school could admit younger students in Year 9, or offer a distinct Careers diploma in Years 12 & 13. Up to twenty Studio Schools across the country have been forced to close (with a huge collective cost of £48 million) due to a lack of parental support or failure to improve standards of behaviour and attainment – but this is not the case on the Isle of Wight. Results at GCSE for the Island Studio School hit the national average – a boost for the Island which struggles with exam achievement. And the school’s parents are unusually very vocal in their support for the staff, led by Head teacher Richard White. The Inspire Academy Trust requested to close the school last month, which has been provisionally agreed by the Department for Education. But this is subject to a four week listening period (ending on 22nd May) – all parents, organisations and residents are urged to make their comments known to DFE.IOWSS@education.gov.uk or the Regional Schools Commissioner Dominic Herrington at rsc.sesl@education.gov.uk or visit Save Our Studio School Facebook Page to help us build the campaign. Good, quality education requires a range of schools which meet the diverse needs of our young people. Purely a focus on academic studies does not suit all teenagers, many of which are mature beyond their years and itching to get out into the world of work. The future of education on our Island needs accountable schools, run locally, meeting the varied needs of our children. To close a new school with such vocal parental support, before it’s barely got into its stride, is a bizarre decision made by people off the Island who are unaware of the impact the school is making in our community. See the Save Our Studio School Facebook Page for more information. 6 Comments on "Letter: Politicians need to ‘step forward with urgency’ to save Studio School"
Looks like CECAMM may be going the same way. How about combining the two? I know, we could call it a “Technical College”, and it could take students who do not choose an academic education all the way through to employment/apprenticeship! Or, here’s a radical idea – why not invest and apply some of the concepts behind the studio school into the mainstream schooling, rather than creating an elitist private school by the back door, which is essentially all the studio school ever was. The Studio School is not elitist. I agree with you that it should be accountable and maintained by the local authority. But the children there have struggled to excel in a rigid academic curriculum. They are not the traditional ‘elite.